And when Jesus had cried out again in a loud voice, he gave up his spirit. At that momen t the curtain of the temple was torn in two from top to bottom. The earth shook, the rocks split and the tombs broke open. The bodies of many holy people who had died were raised to life. 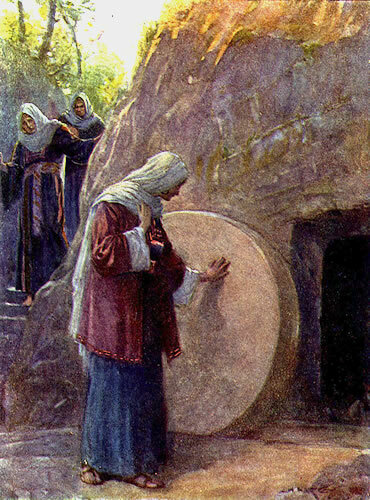 They came out of the tombs after Jesus’ resurrection and went into the holy city and appeared to many people.